Guide Dogs NSW/ACT exists to enhance the quality of life of people who are blind or have impaired vision, by assisting in their achievement of independence through access and mobility. We believe they have equal rights to other people, and respect their right for human dignity. Through our services, we aim to enhance the quality of life of individuals with a sensory disability and families of children living with Autism. Our services meet the needs presented over the course of a lifetime – from life skills for children with a sensory disability, to study and employment, and the transition to independent living and ongoing support for older Australians. Statewide services to support students with vision impairment are based at Narbethong State Special School. 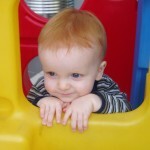 ​Eyes and Independence is a Better Start Provider under the National Disability Insurance Scheme (NDIS). We are the first providers to offer specialist teachers for children with a vision impairment or disability. Disability support, Orientation & Mobility and Early Intervention can be provided – wherever suits family and child best. Forward Steps Mobility is Gold Coast based, providing dedicated, private contract Orientation & Mobility services, to adults and children who experience blindness or low vision. 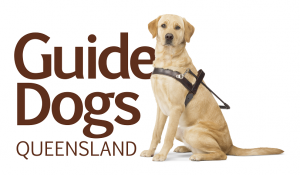 Established in 1960, Guide Dogs Queensland helps to equip, empower and educate Queenslanders who are blind or vision impaired, of all ages, with a range of orientation and mobility services. Kilparrin Teaching and Assessment School and Services (Kilparrin) is located at Park Holme and provides on-site preschool and school programs and a statewide support service for students with sensory impairment (vision and/or hearing) and additional disabilities. The RSB is the primary source of assistance giving people with a vision impairment the opportunity to improve the quality and independence of their lives. VisAbility is a leading provider of disability services specialising in supporting people who are blind or vision impaired. VisAbility has provided innovative, life-changing services for more than 100 years. Guide Dogs Tasmania, which provides life-changing independence through the gift of a Guide Dog, is owned and operated by VisAbility. Guide Dogs Victoria is a premium provider of Orientation & Mobility Services to Victorians who are blind or vision impaired. We are a Melbourne-based partnership providing orientation and mobility (O&M) and travel training, and education for independent travel. We are registered for NDIS and Better Start funding. Senses Australia is a leading not for profit organisation which has been providing services to people with disabilities for 120 years. Our organisation is committed to its our vision and we are passionate about our purpose. VisAbility is a leading provider of disability services specialising in supporting people who are blind or vision impaired. VisAbility has provided innovative, life-changing services to Western Australians for more than 100 years. Guide Dogs WA, which provides life-changing independence through the gift of a Guide Dog, is owned and operated by VisAbility.